Excellence – We embody, and often define, best practices in person-centered service delivery. GSF programs and services are continually expanding across the united states. To inquire about service opportunities in your region, email [email protected]. Certain states have a limited service scope; states with limited services are shown with a state-specific tab below the services menu. The term “Conservator of the Person” and “Guardian” mean the same thing; where a individual or entity is appointed by a court of law to serve as a legal guardian for an adult who lacks the capacity to make certain decisions. GSF serves as court-appointed Conservator of the Person (CA) and Guardian (elsewhere) in various regions across the United States. 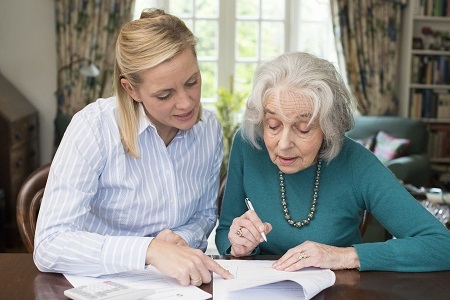 Our Conservatorship of the Person and Guardianship program is the most comprehensive person-centered service we offer. When appointed in this capacity, we oversee our client’s caregivers, medical providers, and financial providers to ensure those services are being provided according to the ideals of GSF CARE. We defend our client’s against exploitation, and advocate for them when their voice is not appropriately valued or heard. In this program, our staff will frequently visit the client in his/her home or other program environment, in both a planned and unannounced manner, to monitor health and wellbeing and make certain our client receives the highest quality of life possible. The Conservatorship and Guardianship program is a lifelong engagement. When GSF agrees to serve, we are agreeing to serve for life, regardless of the client’s ability to pay. The Good Shepherd Fund is trustee for more than 225 special needs trusts and trust accounts and is named in the wills of many more families to be trustee in the future. Beneficiaries live in California, Oregon, Nevada, Washington, Colorado and Arizona. The Fund is able to administer Special Needs Trusts regardless of where the Grantor or Beneficiary live. Many parents choose to create a Special Needs Trust and fund it for their child with a disability through their will or living trust. They may have established a Special Needs Trust for their child while living, with minimal funding, and then have funded the trust at their death through their will or living trust. Sometimes a Special Needs Trust is established and funded within the Will or Living Trust. Here the Special Needs Trust is established at their death. Funding a Special Needs Trust, in any amount, through an estate, does not disqualify the individual for government benefits and provides a way for parents to inherit all children equally. Many parents name The Good Shepherd Fund as the final beneficiary after the child’s death. A Revocable Living Trust is like a will in that it includes your instructions for whom you want to handle your final affairs and whom you want to receive your assets after you die. However, it does not go through probate. The court does not control your assets at death and incapacity. It gives you – not the Courts—control over the assets you leave to your family member or a child with a special need. Assets titled in just your name in a will may need to go through a probate process before they can go to your beneficiaries. But assets that you re-title in the name of your Living Trust avoid probate and can go straight to your beneficiaries. It is especially important that you properly fund your Living Trust. You do not want to leave your Living Trust unfunded. If left unfunded, anything you leave out of your trust will likely have to go through probate when you die and would be subject to court control if you become incapacitated. Assets that have been placed in the Living Trust avoid probate at death. You can provide for your spouse, child, sibling, parent, or other loved one who is physically, mentally or developmentally disabled – from birth, illness, or injury — through a Special Needs Trust in your Living Trust. With a Special Needs Trust within your Living Trust you can provide for a disabled loved one without interfering with his/her benefits. The Special Needs Trust should be very specific in stating that its purpose is to supplement government benefits – that is, to provide benefits only above and beyond the benefits the disabled person receives from any governmental agency. 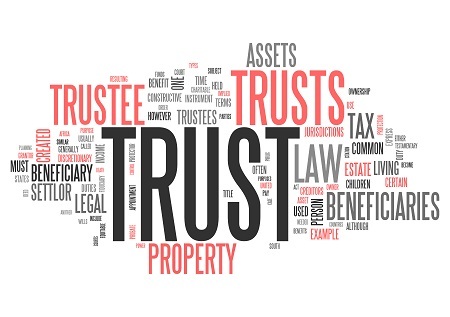 To make sure the beneficiary does not have any implied ownership in the trust assets, the Special Needs Trust should give the Trustee complete control over the distribution of the assets and any income they generate. The Good Shepherd Fund may be named the Trustee for beneficiaries who are developmentally disabled – contact The Fund to be sure that the beneficiary is an individual whom the Fund will be able to serve. You (and your spouse, if you are married) may serve as Trustee(s) while you are living. There will need to be a trustee named to assume this responsibility after your death (or inability to serve). All of our financial services are overseen by a licensed professional fiduciary. A Medical Power or Attorney (M-POA) is someone you appoint to assure your wishes are followed relative to medical crisis, incapacity, medication, end-of-life care, and funeral/burial procedures. When GSF serves as M-POA, we work with the client to craft a plan of action under the desired scope of engagement requested. We try to plan as comprehensively as the client likes. We follow plans detailed to the point of which direction the bed shall face, to what type of flowers and ornaments adorn the room, to the preferred fragrance of the air, and so on. End of life planning can be stressful and uncomfortable, but GSF staff are experts at navigating this transition, and will be with the client every step of the way. Case Management is an à la carte offering, where clients requiring specific assistance can mix & match GSF expertise & services to their individual needs. A case management engagement might include temporary assistance with public benefits enrollment, or future assistance with household budgeting or bill paying. Case management may include GSF visiting an individual periodically just to be a friend and to check up on his/her health & wellbeing. 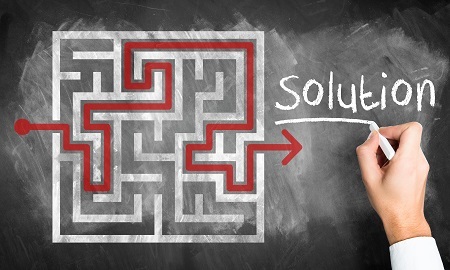 Case Management services can be temporary or long-term. In some cases, clients request that GSF conduct an assessment of needs, and the Case Management engaging lasts as long as it takes to assess a persons situation and report recommendations or refer local professional assistance. We are happy to discuss any need under the sun, and if we do not service the specific need requested within the geographic location of the client, we will refer a partner organization who can assist. Case Management appointments are entered into through a Case Management Agreement that outlines the scope of work and any required deliverables. These agreements can be cancelled at any time. For a fraction the cost of hiring the services of a bank to administer a trust or estate, GSF serves as executor of estates and trustee of conventional trust documents including Special Needs Trusts (SNT) for hundreds of clients across the United States. We also serve as Financial Power of Attorney (F-POA) and administer various endowments. Of these fiduciary services offered, we specialize as a trustee or successor trustee of First and Third-Party SNTs. SNTs are specialized trust instruments designed to protect a beneficiary’s public benefits eligibility. In order to assure SSI, Medicaid, or other benefits eligibility continues for the beneficiary, the trust must be administered by the trustee in a very specific manner, and GSF has decades long experience administering these trusts so that the beneficiary maintains his/her benefits enrollment and retains peace of mind. Assets under GSF management are administered through the support of Secured Alliance. Secured Alliance supports the administration of over $100 million under management across several partner agencies, and operates in 49 states. Limitless Adventures is a GSF program designed to coordinate travel and new experiences for our clients. This year, adventurers are going to Hawaii, taking a Caribbean Cruise, Going to a Masquerade Ball (complete with paparazzi, the news, a magician, music, food and dancing), Yosemite, and the coast. Enrollees also get monthly ‘special outings’ and individualized birthday celebrations. Limitless Adventures is a premium offering, and enrollees must have the means to pay for the adventures, but some GSF clients may be eligible for sponsorship as well. To inquire about Limitless Adventures participation, or to get a list of the trips and activities planned for this year, connect with program coordinator Deana Smith at [email protected]. Adventurers will need to travel with a companion, and must have the means to afford the adventure.